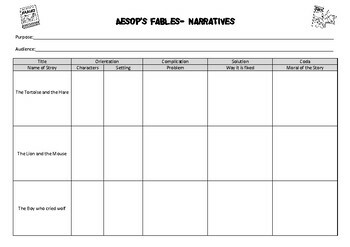 A simple activity to do repeatedly with various Aesop Fables to help students understand and be able to identify the structure of a Narrative. 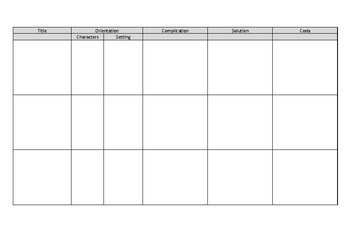 The activity sheet can be used with the younger years and they can be encouraged to draw pictures in the boxes or it can be used with primary grades and they can write sentences in the boxes. An easy way to differenciate in the primary class is to require different amount of writing/ drawing from different students in your class.